Five boats took to the water for this year’s Easter Bonnet. Although windy, that did not stop many getting their boats wet for the first time this year. Martin Gibson continued his winning ways, but this time with the help of daughter Ella in the Tasar. Abbi selected a good sized sail for her Laser, being able to comfortably handle the windy conditions. Securing 2nd place. Phil took 3rd place before suffering boat failure, which saw him take a swim. Paul was travelling well in his Contender taking 4th place and although also went swimming a few times. Is perfecting the art of righting his boat in a super quick time! A slightly fragile Stuart and Trevor were out in their newly purchased 420. Despite having the mast fall, they had just managed to complete the first race. Day 2 was not able to happen due to storm Katie making it too windy! The new sailing season got underway on Sunday 20th March 2016, with six boats taking to the water. The conditions were nice for the first day back, in normal Clevedon fashion slightly changeable. Starting with more wind then forecast in the first race, to dropping off to nearly nothing by the end of the last race. Martin Gibson got a good start in both, making it difficult to catch him! While the Solo and other Lasers battled it out behind, not far behind having a great race, was Grace Cherry in the Topper who took 2nd place in the first race. The sun came out and it was a lovely way to start what we hope to be another successful sailing season. Easter weekend has two days of sailing for the Easter Bonnet on Sunday 27th and Monday 28th March 2016 both days’ first race starting at 9am. Much fun was had by all at the Quiz night, particulary the last round when teams were to act or describe words. Here are a couple of snaps from the evening. Congratulations to this years winner of the Paper Boat Race which took place on Boxing Day. Despite many starters, there were only a select few boats that made it to the other end of the lake, and only one which made it all the way across, this was Jon Summers. Yesterday was the last race of our season, despite quite challenging conditions, there were four 'lunatics' who took to the water. The wind varied throughout the race, from very strong to easing off and then back strong, which did mean a few swims for Phil! But this did not stop him taking 1st place, followed by Benedict and Rory Whybrow (Tasar) in 2nd and Chris Copper (Laser Radial) 3rd. Here's to next season - Next years Programme and Open Events schedule to follow. The boat should be made primarily of paper or cardboard, exceptions to this rule are outlined below. Two styles of hull design are permitted. Monohull and Multihull; no other shape is permitted. The design of all craft must be boat like in spirit (boxes are not allowed). Rudders and bowsprits will be included in the lengths stated. There is no restriction in sail area. Ballast in the form of nails or screws maybe used to stabilize Monohulls. Wood may be used for the construction of masts for both styles of hull. A thread or cotton or similar materials may be used to support the mast and control the sails. The boats may be fastened with glue or adhesive tape. Other materials may be allowed at the discretion of the race officer. The boats may be painted any colour the builder fancies. A maximum of one boat per entrant is allowed to race. However a boat may be built and raced by more than one person. The course is to be set by The Race Officer on the day. Boats must stay in one piece and not disintergrate. Those which do fall apart will be deemed to have Retired. Boats which capsize will also be considered as Retired. The first boat to complete the course in accordance with these rules shall be considered the winner. Protests; if there are any will be heard by a quorum of sailing committee members. The Regatta this year not only saw Stuart upside down, but his Rudder going in the opposite direction to his boat and sinking into the depths of the sea! For her consent support and help at the club, stepping in to cover rescue boat and OOD at short notice, the outstanding calmness showed in a very testing day at the Regatta this year. For supporting Phil throughout his time as Commodore, keeping him in check and organised. 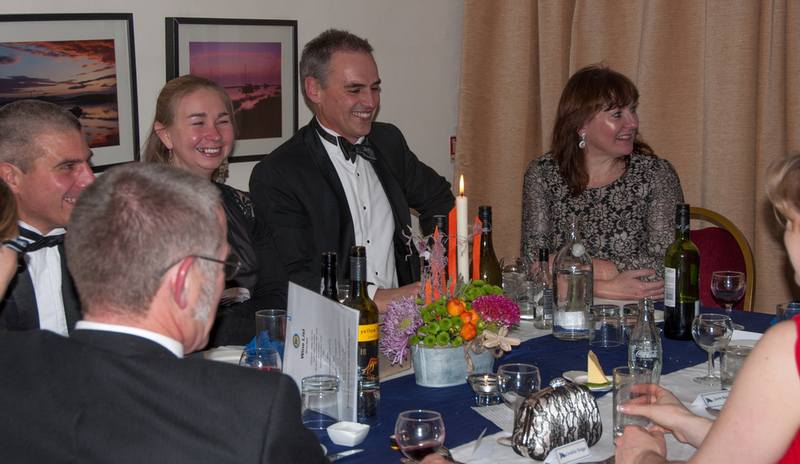 The Annual Laying Supper was once again a huge success and enjoyed by many members. Here are some photos from the evening. After being rescheduled due to lack of wind this year’s Autumn Trophy took place on 18th Oct. Although the north-east breeze provided a reasonable wind offshore conditions along the shore were very variable and shifty. Race Officer Stuart Butter set a large course with the beat back to the start line from a seaward mark off Wains Hill. Twins James and Anthony Willcocks (Fireball) showed the fleet a clean pair of heals from the start leading from start to finish ahead of parents Andy and Andrea (Fireball), Richard White (Phantom) and Robin Goff (D Zero). Phil Isaac capsized at the first gybe and spent the race recovering. Conditions proved too trying for Stuart Turner and Trevor Baker (Scorpion) and Tony and Scarlet Cherry (Tasar) who both retired after race 1. Goff took the race on handicap with the Willcocks 2nd and Grace Cherry (Topper) 3rd. Race 2 started at high water leading to different tactics. The Willcocks twins led again from the start together with Paul Sheldon (Laser) with Goff steadily pulling back through the fleet from an indifferent start. By the beginning of the second beat the inshore tide was ebbing and the leading boats headed shoreward to tack up the coast in slacker water. Whether by inspiration or luck Martin Gibson (Laser) stayed out in the stronger, cleaner wind passing both Phantoms and finishing just behind Andy and Andrea’s Fireball. Gibson took 1st place on handicap with Goff 2nd and the Willcocks 3rd. By race 3 the tide was ebbing strongly and staying out wasn’t an option. After their third good start of the day James and Antony again led with Phil Isaac and Robin Goff in hot pursuit. The slower handicap boats struggled against the tide in the fickle conditions, gradually falling further behind. Willcocks took 1st place on handicap with Goff 2nd and Isaac 3rd. With 3 different race winners the overall result was a close run thing. Willcocks and Goff both tied with 3 points, both having a 1st and a 2nd place, leaving the result to be decided by who did best in the last race. 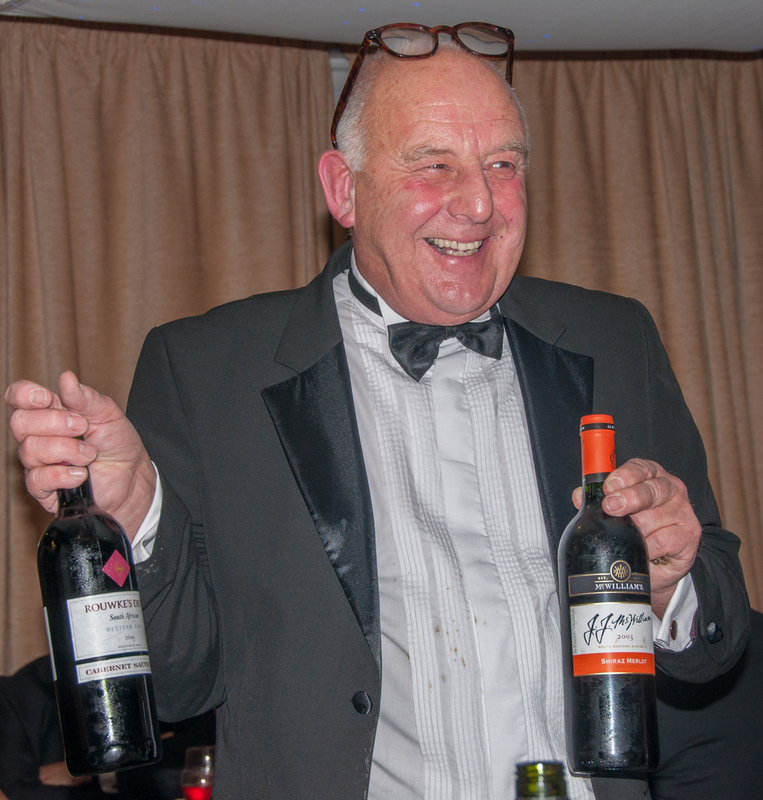 Prizes were presented by Vice Commodore Ian Hotchkiss while competitors enjoyed a curry and liquid refreshment. buoy with Isaac finding the Phantom over-powered just rounding behind Laser. However, he quickly overtook Gibson on the run and pulled further ahead on the following reaches. The following Lasers of Chris Cooper, Paul Sheldon and Martin White also struggled and there were several capsizes. Despite pulling ahead on the reaches of the second lap Isaac was unable to beat the Laser on handicap. Fortunately there was a capable beach party to retrieve the dinghies and the 2 safety RIBs in the large waves on the slip and there was no damage to any boats, just a few bruised and tired sailors. For the first time in several years Clevedon Sailing Club’s Town Plate was held on the scheduled day rather than being postponed for too little or too much wind. The race is traditionally a ‘pursuit’ format where slower handicap boats start first with faster boats starting progressively after. If all boats are sailed equally well they should all finish together. following lap to overtake Dave and Jess Herbert (420), Sarah Hotchkiss (Solo) and Richard White and Kelly Hewlett (Firefly). Meanwhile both Benedict Wybrow and Tony Cherry, and Anthony Rees and Kevin Watts (Tasars) floundered in the lighter variable wind and were quickly overhauled by Phil Isaac (Phantom) who steadily closed the gap on the boats ahead and Gibson who was now the leading boat. Isaac eventually caught Gibson on the last leg a few minutes before the end of the race to take first place. 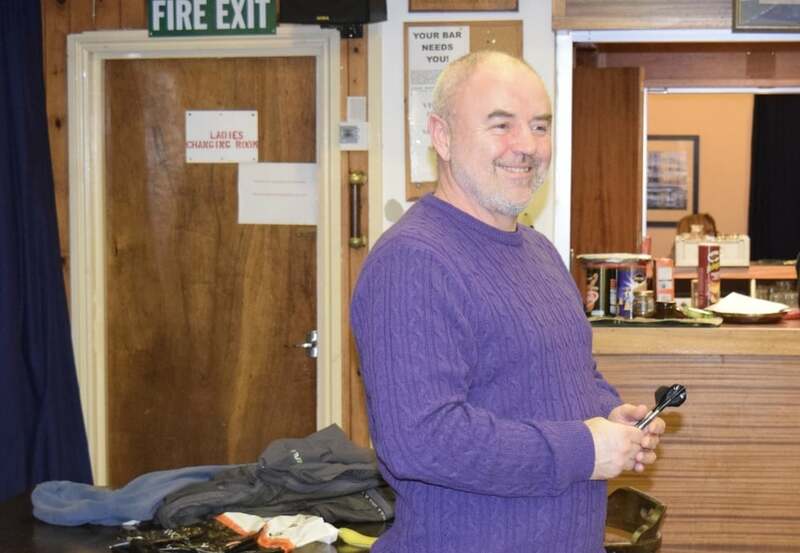 The Town Plate was originally provided by Clevedon Town Council and prizes were presented in the clubhouse after the race by Chairman of the Council, Graham Watkins. Nine boats turned out for this year’s Channel Race. Competitors choose their own start time aiming to round the half way mark, Denny Isle off Portishead, at high tide. Although light winds were predicted the race was held in fairly steady force 3 to 4 breeze from the North East. First away, almost 2 hours before HW was Martin White and Tony Cherry (Vision) followed after by the Firefly of Richard White and his daughter Kelly. They were soon joined by the faster Phantom of Phil Isaac and the Taser of Ian and Sarah Hotchkiss. The return leg was a long run enabling the faster boats to surf down the waves. Despite 2 capsizes conditions suited the Laser of Martin Gibson who completed the course in 2 hours 30mins, slightly slower than Isaac at 2 hours 24mins and Hield at 2 hours 28mins. The slowest boat took 3 hours 6mins to complete the course. The Sailing Committee has great pleasure in inviting all sailing club members and guests to attend a talk on RACE RULES by renowned ISAF rules specialist JON NAPIER. 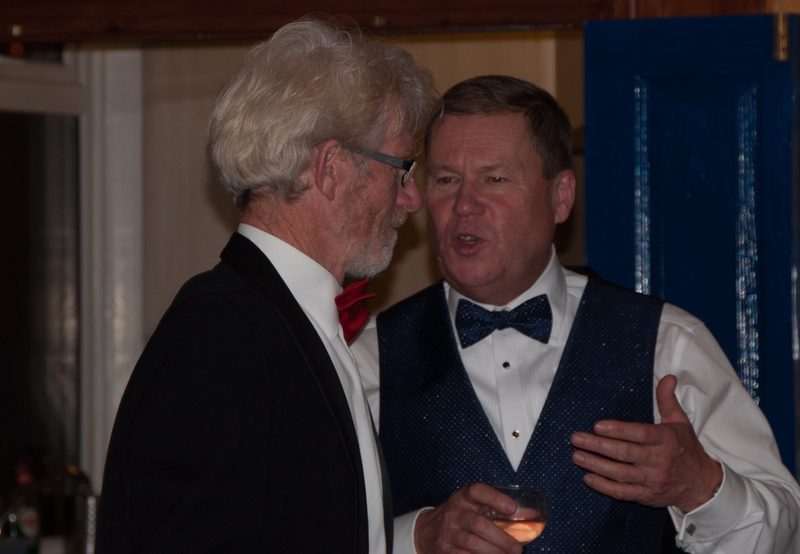 Jon is the Competitions Manager and In-House Counsel at the International Sailing Federation and a highly respected expert on the ISAF racing rules. He regularly attends events worldwide. His talk will begin with ‘the basics’, which he then develops and illustrates with various common scenarios. His style is entertaining and informal and questions can be asked at any time. Jon is a lawyer by profession specialising in Sports Resolution and Arbitration. His expertise and clarity on racing is both compelling and understandable and will appeal to everyone from regular and occasional racers, cadets and ‘experts’. Please note: The bar will be open from 7.00 pm but is likely to be closed at 7.30 pm in order not to disturb the presentation. Please arrive in time to get a drink and settle down for what is likely to be a very enjoyable and informative event! Clevedon Sailing Club’s 2015 season opened last weekend with the Easter Bonnet held on Sunday. Only 6 boats turned out on the day, probably due the gale warning forecast the previous evening. Competitors were not disappointed and the 3 races were held in strong south westerly winds. Race 1 saw Stuart Turner in the Laser Radial not far behind the faster Phantom of Phil Isaac and D-Zero of Robin Goff beating them both on handicap. Both Isaac and Goff capsized at the gybe mark in race 2 and after difficulties righting the boats decided to join the Vision of Martin and Monty White ashore. Turner went on to win with Gibson, who had also capsized, just behind him. Only the 3 Laser Radials of Turner, Baker and Gibson were left for race 3 with Gibson leading from start to finish. Due to the high winds, sadly the first races of the season have been cancelled. Deterred by the strong winds only 7 boats launched for this year’s Autumn Trophy open meeting. However the forecasted gale never appeared and those that did take part had exciting sailing with a course set with 2 good reaching legs. Robin Goff sailing his D Zero for the first time took the lead from the start of the first race but was overtaken by the Tasar of Martin Gibson and Tony Cherry when he got into ‘irons’ at the sea mark. Gibson and Cherry held the lead until the end of the race. Race 2 saw several boats finding the high winds and big waves not to their liking and going ashore. Gibson and Cherry again led to the finish but the D Zero proved to as fast off wind and was never far behind. The Visions of Trevor Baker crewed by Mike Mclaughlin and Benedict Wybrow crewed by another novice didn’t find conditions too difficult with their heavy hulls and Ben Mclaughlin showed great determination sailing one of the club’s Toppers. By race 3 the wind had increased slightly and everyone was tired so OOD Anthony Rees decided to limit it to1 lap. After taking the lead from the start Gibson and Cherry capsized at the first mark leaving Goff little competition for the rest of the race.